Multiple levels of government and a myriad of nonprofit organizations offer an ever-changing array of specialized services to people who need them. But who directs traffic through all that complexity? The work of connecting people to services is known as information and referral. It’s a basic part of what human service organizations do: help their clients find further resources elsewhere. But it’s also a professionalized function in its own right. Throughout the U.S. and Canada there are several thousand information and referral (I&R) providers at 211 and 311 call centers, United Ways, community organizations, libraries and hospitals. They maintain and serve up community resource directories: collections of records on which organizations offer which services. Their work is essential to making an extremely decentralized human service sector operate smoothly. Unfortunately, information and referral is currently a landscape of silos. In most localities there are several I&R providers. But instead of sharing records, each one maintains its own separate collection. That makes it harder for clients to find the services they need. It also adds to cost, as all of the I&R providers have to create and update records about the same services. In fact, what a community needs isn’t a bunch of directories, it’s a unified directory that would allow seamless one-stop shopping. This is exactly the kind of problem that standards for interoperable data can solve. And that solution is now on the horizon. A new project called the Open Referral Initiative is bringing together stakeholders from government, local I&R providers, software vendors and the Alliance for Information and Referral Services (AIRS) to figure out ways to share information. With help from Code for America and subject matter experts around the country, the effort will develop an internationally applicable data standard for exchanging I&R records. At the same time, it is launching several pilot projects in which local consortia will work out the technical, inter-organizational and economic mechanics of sharing data. 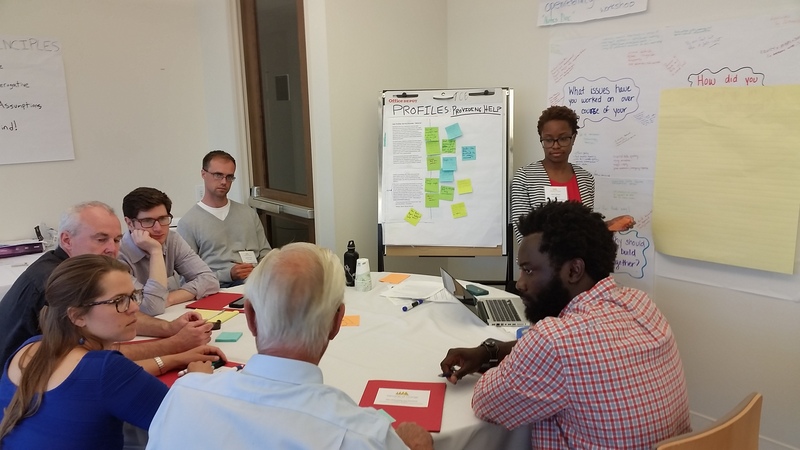 Earlier this month, I traveled to Oakland to the first workshop of the Open Referral Initiative. 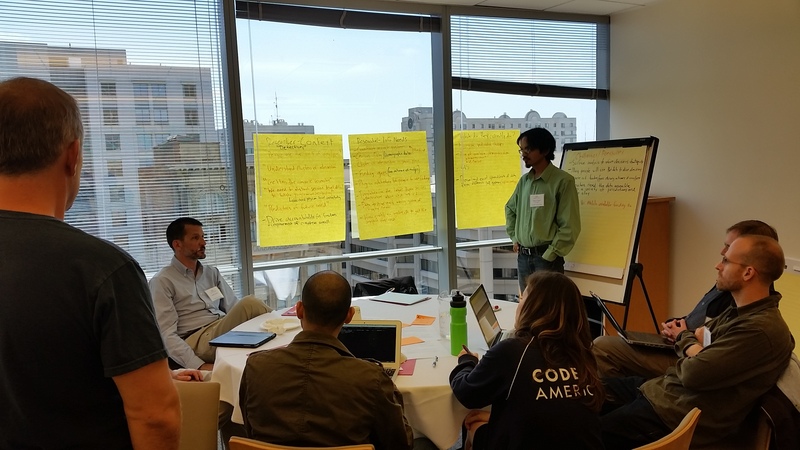 Sponsored by the California Healthcare Foundation and facilitated by Stewards of Change, the meeting’s aim was to develop consensus on next steps for the project—especially its Bay Area pilot—and also to nail down the first version of the data exchange standard. I came away energized by the enthusiasm that I saw among participants from a wide range of organizations. I also came away pondering the possibilities of a new (to me) concept: polycentric governance. This idea has been gaining traction because of the work of the late Nobel prize-winning economist Elinor Ostrom, who studied the production of public goods and the management of common resources. It means cooperation among many centers of decision making that are formally independent of each other. Overturning previous conventional wisdom, Ostrom discovered kinds of situations where polycentric governance can actually work better than either centralized government authority or market economics. Greg Bloom, who is spearheading the Open Referral Initiative, was looking for a framework to understand the problems of information and referral silos. He was drawn to the notion of a common pool resource, the type of good usually exemplified by fishing stocks or forests, and where Ostrom found polycentric governance to work well. The situation of I&R data may not neatly fit the usual definition of a common pool resource, but it’s clear that greater cooperation among I&R providers could increase effectiveness and efficiency; that data standards are necessary to operationalize cooperation; and that these data standards can only come into being and be maintained through the voluntary participation of many different parties. For all those reasons, the Open Referral Initiative’s workshop in Oakland took polycentric governance as a given. As I participated in the workshop, what most struck me was the possibility that polycentric governance might not only be a good model for governing data standards. In addition, by creating a broader conversation, it might actually increase the usability of the data being governed. That happened in Oakland in a very specific way. Human service planners, policy analysts and researchers are important potential consumers of community resource data. In their ideal world, there would be a complete inventory of all the programs in the locality, and they could mash it up with other information such as outcomes and public expenditures. Alas, at present I&R data is usually very poorly suited for their use, because it has been designed around the assumption that the client in need is the only end user who matters. The Oakland workshop upended that assumption. Organizations of many kinds were at the table, and policy-oriented consumers of data had ample time to talk about their needs. As a result, the data standard that the Open Referral Initiative promotes will take into account their needs as well. Experiments in polycentric governance can lead the stakeholders of human service data toward more inclusive conversations about how data is used and how it should be structured. In that way, it could eventually help resolve what is arguably the sector’s biggest data problem: the constant conflict between clinical and policy priorities in the design and collection of data on clients and services. —Derek Coursen has two decades of experience leading the design of information systems, performance measures and data exchange protocols for government and nonprofit organizations across the justice, human service and public health sectors. He is adjunct faculty at NYU Wagner School of Public Service and blogs about data strategy at Human Service Informatics.